Hello from the fishing capital of the world, the famed sunset coast of Southwest Florida encompassing Naples and Marco Island! Captain Steve Dall's goal is simple…to give you and your family the most enjoyable day on the water that you can have, build a relationship with you and ultimately have you return for years to come. 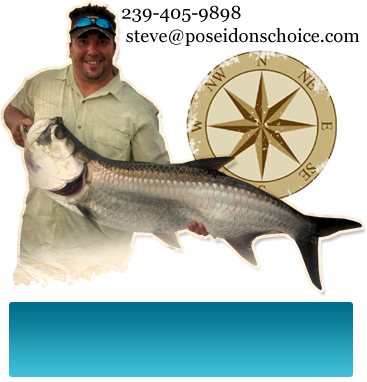 Captain Steve conducts fishing charters out of two main areas: The Estero Bay/Naples Bay area of Southwest Florida which spans from Ft Myers Beach down to the prestigious waterfront homes of Port Royal and we run charters in the famed 10,000 Islands region near Marco Island. Until we meet formally, tight lines and screaming drags…..